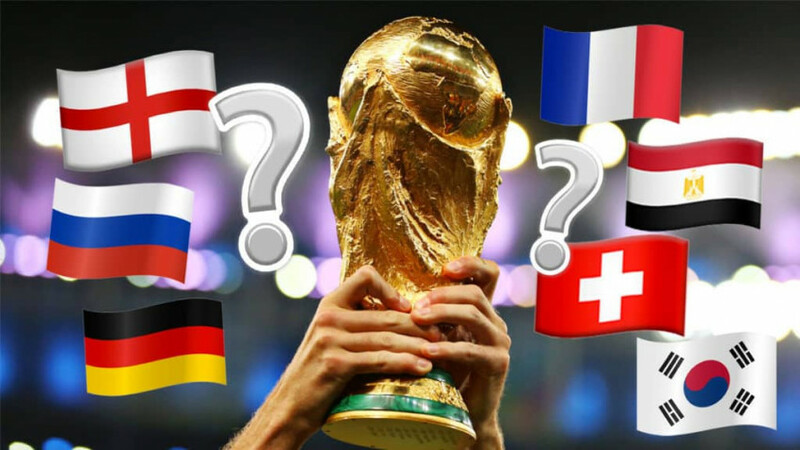 Who will be in the 2018 World Cup? See a full list of countries, rankings, and seeds here! World Cup qualifying has finished so we now know every team that will be playing in Russia in 2018! There were some shock drop-outs, like Italy who have made it through every year since 1958. The Republic of Ireland and Northern Ireland as well as Scotland and Wales also haven’t been very lucky but England was, and they’ll be playing. Next there’s a draw to decide who will play who – the World Cup finals draw is on Friday, 1st December at at a concert hall in Moscow. Who will be in Russia’s 2018 World Cup? Teams are picked based on October’s world rankings. There are four pots, organised by how high each team ranks. Russia, Germany, Brazil, Portugal, Argentina, Belgium, Poland and France are in ‘pot one’, meaning they’ll be playing each other. England, meanwhile could be up against any country from ‘pot two’, which consists of Spain, Peru, Switzerland, Columbia, Mexico, Uruguay and Croatia. Denmark, Iceland, Costa Rica, Sweden, Tunisia, Egypt, Senegal and Iran make up ‘pot three’, whilst Serbia, Nigeria, Australia, Japan, Morocco, Panama, South Korea and Saudi Arabia make up the forth pot. Although it’s still early days, some people reckon Germany will win the World Cup. They’re followed by Brazil, Spain, Argentina, France, Belgium and then England at 7th place.